My colleague Geoffrey Taylor recently wrote about the education and training of analytic resources and the potential shortage of these resources in the job market. 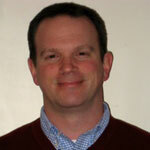 My other colleague Russ Cobb addressed building an analytical workforce in his recent entry. What’s on my mind is what happens when you finally find this talent – how to do you keep it? Often times these highly-skilled analytical resources are referred to as "rock stars." When I think of rock stars, the images I envision are the singer not showing up, the guitar player waiting to do his solo no matter what the band wants to do, and the drummer trying to keep everyone from fighting. Fortunately, my experience managing analytics resources is that these resources are more "all stars" than "rock stars." The difference, you ask? All stars in team sports work hard to maximize talent, work well together, learn from each other and think of the larger goals. Their focus is on the team rather than their next "solo," not unlike the strategy Billy Beane laid out in the recent blockbuster movie Moneyball, which shows how statistics helped a losing baseball team with a tiny budget win big against wealthier competitors able to pay high dollar for “rock stars.” Strong analytic resources are well-rounded, with a combination of business experience, analytic education and expertise and hard work. The stereotypical rock stars are out for themselves and focused on immediate gain. Unlike the infamous brown M&M clause purportedly issued by rock stars Van Halen, the best analytic resources adapt to changing business needs and ever evolving technology. I equate a top-level analytic resource to an all-star shortstop adjusting to the field and a nasty groundball headed his way before making a double play worthy of the evening news. In a January 2010 research report issued by Accenture, these analytic all stars fall in the top 11 percent of all analytic talent typically found in an organization. Interestingly enough, Accenture calls these two levels of talent Analytical Champions and Analytical Professionals (other levels include Analytical Semi-Professionals and Analytical Amateurs) based on Tom Davenport and Jeanne Harris’ book Analytics at Work: Smarter Decisions, Better Results. According to this report, the highest levels of analytic talent are typified by providing high quality work, being complete and thorough, and willing to go the "extra mile" in their work. Sound like a spoiled rock star??? I think not! When you have been lucky enough to find this talent, how do you keep these all stars engaged and on your team? According to Accenture’s survey there are three essential conditions required. First, companies need to provide meaningful work and career opportunities. Second, organizations also have to support efforts to engage, as well as the need for “R&R” (that’s not Rock n’ Roll in this case but recovery and renewal!). The third condition is to cultivate a culture of trust and respect. All-star analytic resources strive to earn the trust and respect of their colleagues and the organizational functions they support. As a "coach" of analytics resources at SAS I try my best to put our resources in a position to earn trust and respect of colleagues and customers. In my role as an analytics coach, I’m always striving to keep my team engaged in meaningful work. At times there is no choice and the tasks at hand may be more "grunt" work than some new interesting algorithm or product. In cases like this we have to be creative. Sometimes I break up the work or add a certain challenge (a tighter timeframe, a new analytic technique, etc.) to keep the work interesting in some way. A large part of the manager’s job is dependent on the second condition. Many analytics teams work on a "demand" basis, meaning assignments of projects that require resources and have to be staffed. The challenge becomes fitting the work to the team members, based on availability, timeline, skill set and customer needs. This effort to support engagements can be a tremendous challenge to balance the need to get the job done with that perennial focus on employee retention. The third condition eases the second condition of demand. If an atmosphere of trust and respect exists this bolsters a team’s ability to engage in work, even if it’s a bit of stretch for them. The all stars on my own team work with a lot of SAS customers on modeling customer acquisition and retention, but it is just as important to pay attention to these modelers themselves and how we retain these all-star assets!